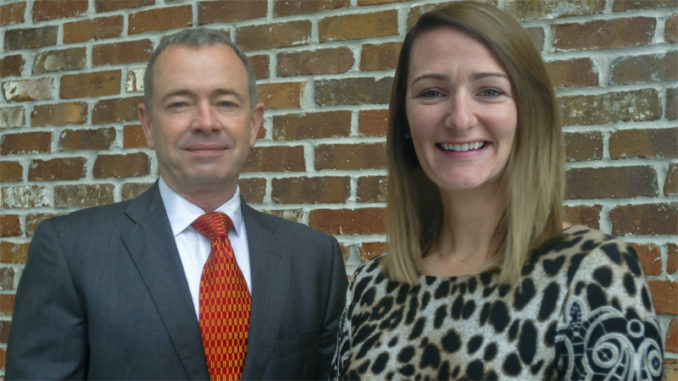 St. Charles Parish District Attorney Joel Chaisson II and Assistant District Attorney Rochelle Fahrig. A bloody shoe and a gun traded for drugs were among vital pieces of evidence leading to the conviction of 32-year-old Jerel Smith of Luling, who last week was sentenced to life in prison for the second-degree murder of Metairie’s Ryan Dubuc. That sentence, issued by Judge M. Lauren Lemmon, represented the culmination of an 18-month journey to bring justice for Dubuc and his family. 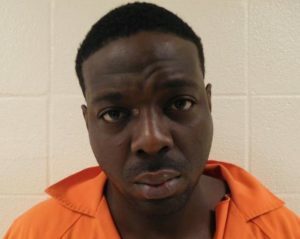 Smith was convicted in May for shooting and killing Dubuc during an armed robbery in January of last year. 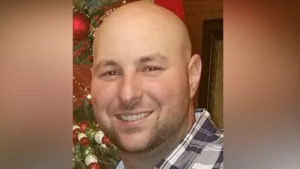 St. Charles Parish Sheriff’s Office detectives determined Smith asked Dubuc for a ride outside of Birdie’s gas station in Luling, then after the latter obliged, he shot and killed him for less than $80 in cash that Dubuc had just withdrawn from an ATM machine. Dubuc was 28 years old. Lemmon also handed down a separate 99-year sentence to Smith for the armed robbery of Dubuc and an additional five-year sentence because the weapon used in the robbery was a firearm. The case was prosecuted by St. Charles Parish Assistant District Attorneys Rochelle Champagne Fahrig and Julie Cullen. “The evidence in this case, I believe, was quite overwhelming as to his guilt,” said Fahrig. But finding and presenting that evidence to make this trial’s result a reality took some hard work. According to Fahrig, initial evidence used to paint the picture of the murder was surveillance footage that showed Dubuc at the Birdie’s gas station the morning of his Jan. 9, 2017 murder. Another man seen on video then approaches Dubuc, but that man’s face was unclear. Dubuc went back inside the store and spoke to the clerk, who went on to testify that Dubuc asked if he knew the man outside, as he had asked for a ride to a nearby plant. The clerk stepped out, looked at the man and told Dubuc he knew him because the man hung out around the store, but that it was up to Dubuc if he wanted to give him a ride. “Essentially, he was just being a good guy giving this guy a ride,” St. Charles Parish District Attorney Joel Chaisson II said. The video shows Dubuc and Smith leaving the scene together in Dubuc’s truck. Later that night, footage shows Smith emerge from Dubuc’s truck at a home where prosecutors say he purchased drugs. Dubuc’s body was found in Hahnville at 9:30 a.m. the next morning. The video itself would likely not have been enough to convict Smith, however, as his face was not clearly identifiable. A major breakthrough came when DNA testing results on Smith’s shoe showed a strong sample of Dubuc’s blood on it. Fahrig also noted Smith apparently traded the gun for cocaine and that the bullets found in Dubuc’s truck were matched to the weapon. “From the first day on, the Sheriff’s Office was incredible in the way they got on top of everything,” Fahrig said. The testimony of the Birdie’s store clerk who spoke with Dubuc was especially key in securing the conviction. “He didn’t know who (Smith) was, he just saw him in the store all the time,” Chaisson said. “When he heard about the murder, he told us what he knew. And it took awhile, a lot of hard work and perseverance by the detectives who were finally able to get him to identify a photograph of the defendant. A major variable is the uncertainty that a witness will go through with their testimony when the day comes – Fahrig admitted an “extra layer” of stress is added over anxiety a witness may not show — but Chaisson credited the witnesses for doing the right thing and being instrumental to justice being served. He credited his prosecution team for bringing all of the case’s key witnesses in, including those who were acquainted with Smith. “It took a lot of work for the Sheriff’s Office to tie up the loose ends to the point where the evidence became overwhelming, and a tremendous amount of hard work and dedication by Rochelle and Julie to put it all together in one coherent package over a week-long trial,” Chaisson said. Smith was convicted in May, and all that was left from there was his sentencing. An emotional day of victim impact statements included one particularly tense moment when Smith had to be restrained after an outburst while Dubuc’s youngest brother was speaking. “Nothing can bring Ryan back, but it is my hope that his family will gain some peace in knowing that Jerel Smith will spend the rest of his life in prison,” Chaisson said. Fahrig said she had been in regular contact with Dubuc’s mother throughout the process and that his family was very involved with the case from the beginning. – Ryan Dubuc arrives at Birdie’s gas station shortly before 6 a.m. on Jan. 9, 2017, withdraws $80 from the ATM, and purchases items at the store. As Dubuc exits the store, he is approached by a man, at which time he is asked for a ride to a nearby plant. Dubuc and Smith are subsequently seen on surveillance video leaving in Dubuc’s truck. A witness identifies Jerel Smith as the individual who was conversing with Dubuc. – At some point after the two left Birdie’s, Smith shot Dubuc in the head four times in Dubuc’s truck and he dumped his body near a drainage canal off Highway 3160 in Hahnville. – Home surveillance footage shows Smith emerging from Dubuc’s truck shortly before sunrise a few miles from the site Dubuc’s body was found, where it appears Smith thumbs through money and then purchases cocaine. – Crime camera and home surveillance footage shows Dubuc’s truck entering a Laplace subdivision shortly after 7 a.m. and the truck is seen driven into a cane field where it was later recovered. A male subject appearing to meet the same description as the individual seen at Birdie’s emerges and is seen walking around the LaPlace neighborhood shortly after the truck is driven into the cane field. – Dubuc’s body is found around 9:30 a.m.
– Around 11:30 a.m., home surveillance footage shows Smith trading a gun wrapped in a black shirt for drugs. – Sheriff’s Office detectives recover the gun traded by Smith for cocaine. The gun was examined and determined by a State Police ballistics expert to have fired the projectiles recovered from Dubuc’s vehicle. – Sheriff’s Office detectives recover a pair of shoes from Smith’s home pursuant to a search warrant. DNA testing revealed that Dubuc’s blood was found on one of the shoes.